The Lenten season draws to an end with Holy Week, the final week before Easter. Making Holy Week memorable, as well as educational, is the thought behind this meditations book idea. The cover and pages give the student an opportunity to personalize their booklet, while the Bible readings help them to think more deeply about the suffering and death of Jesus. The ruled, blank area of the pages is for jotting down the thoughts or prayers of the individual. 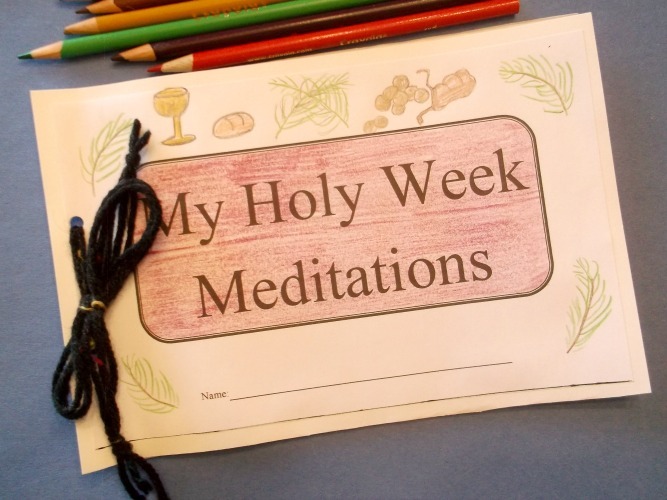 The templates and tutorial for this project, “My Holy Week Meditations” is found in the Easter Projects Gallery in the sidebar.